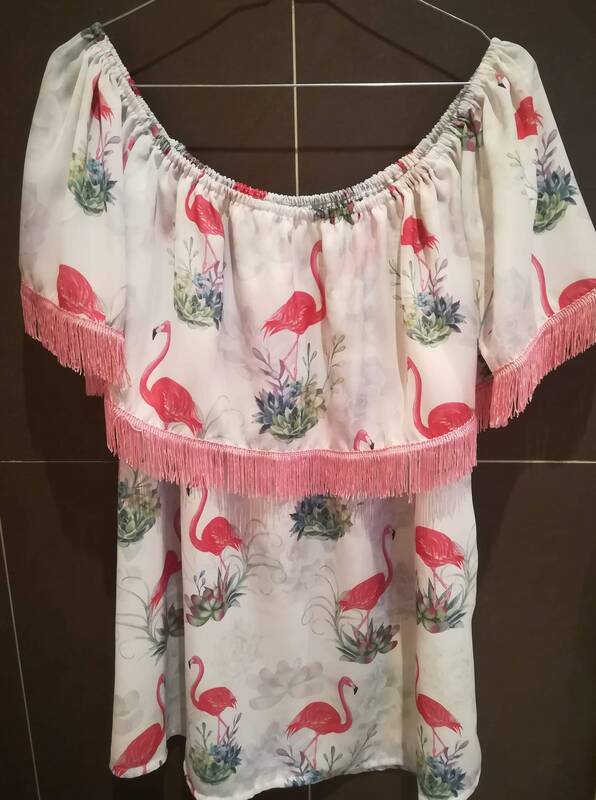 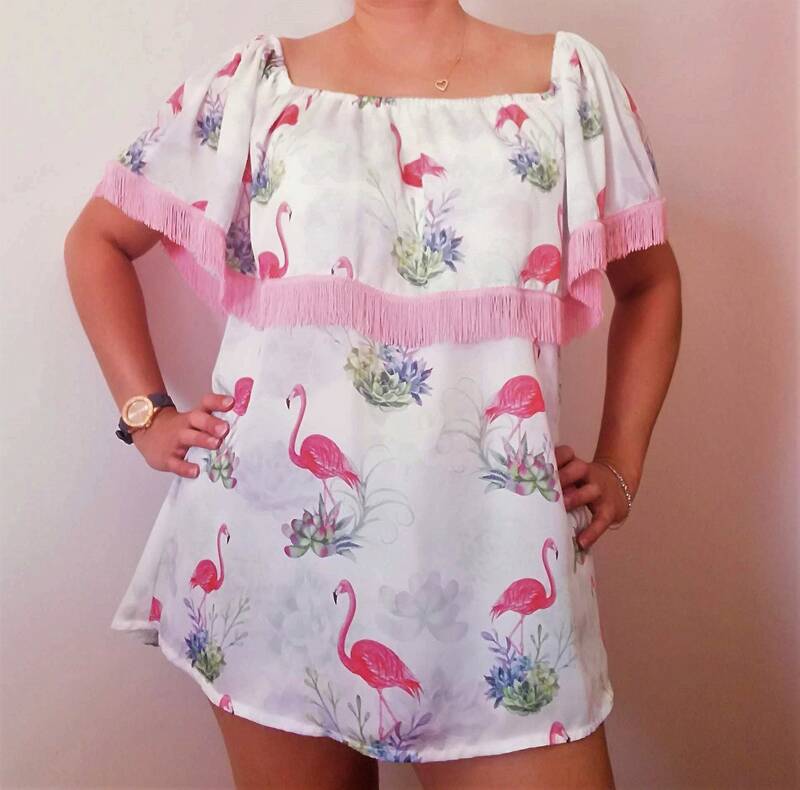 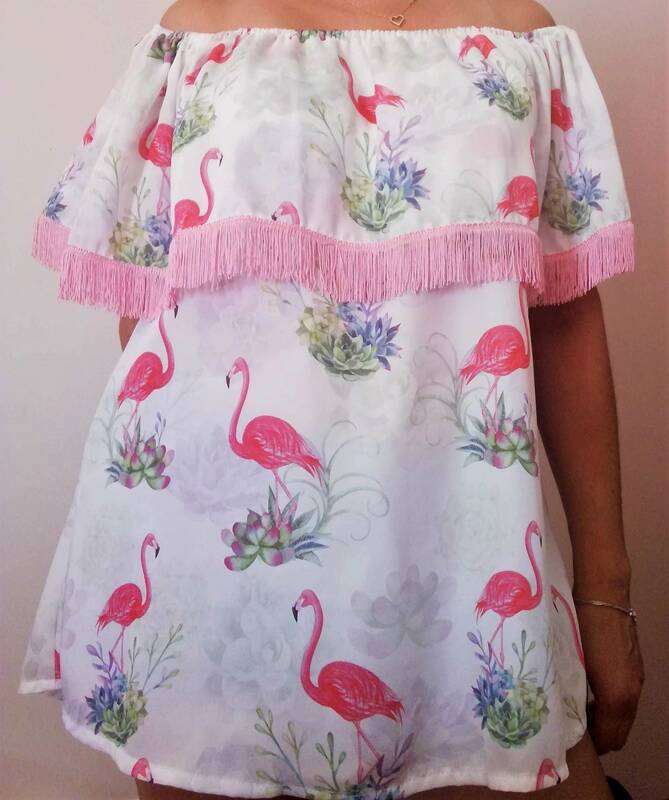 One-size tunic, made from crepe polyester stamped flamingos. 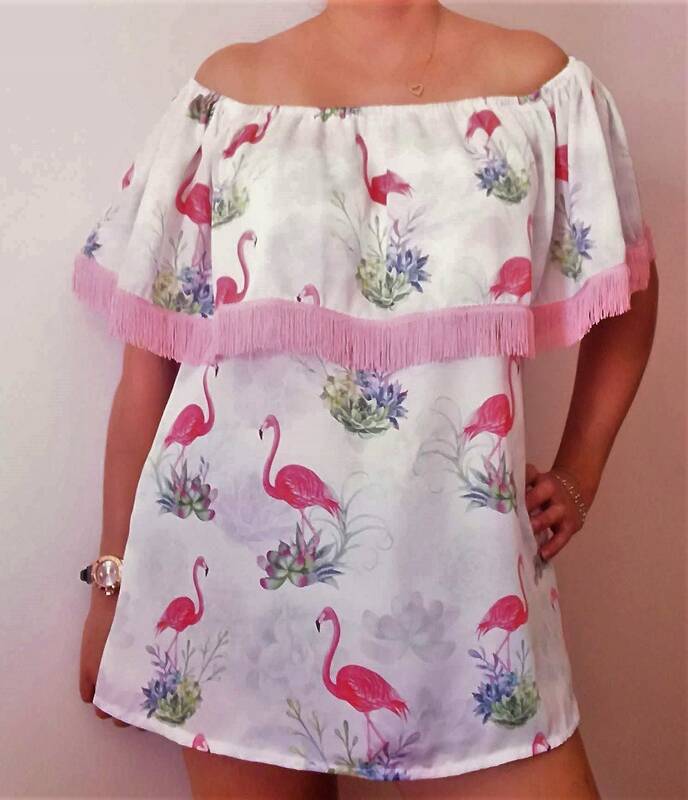 A lightweight and flexible fabric that makes this tunic suitable for any silhouette. 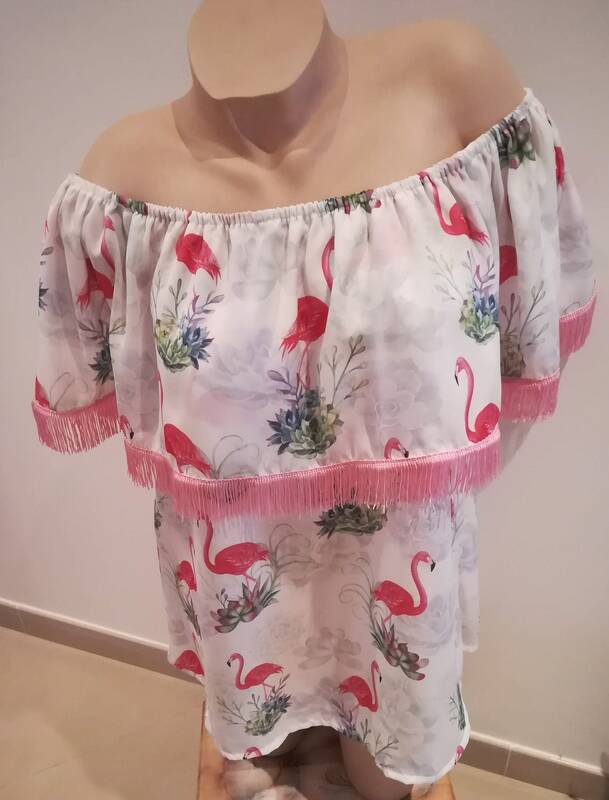 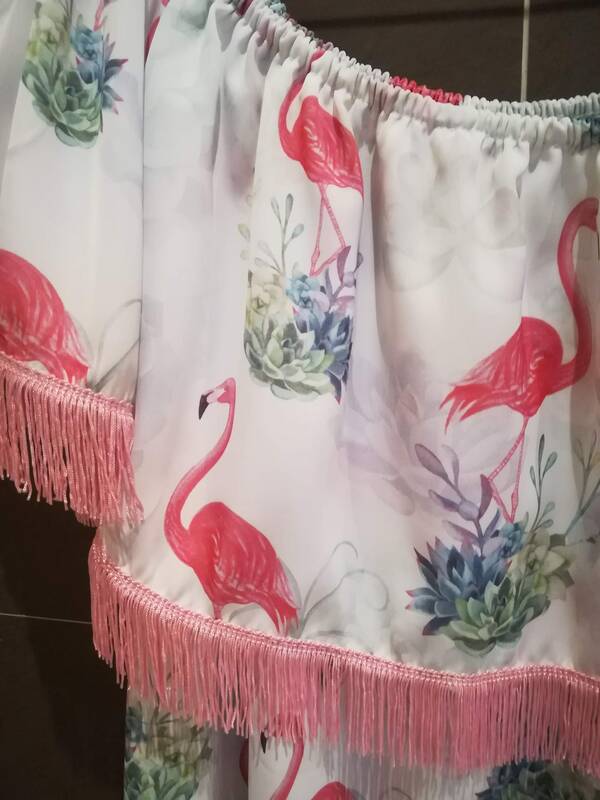 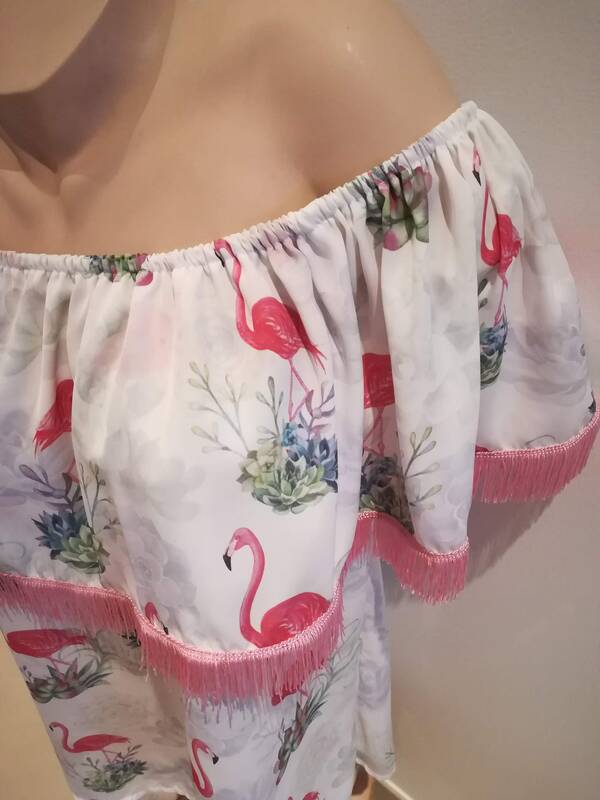 Cut slightly evasê and recessed below, with suggestive neckline to the boat, with elastic and with wide frill, with application of pink fringe on the tip. 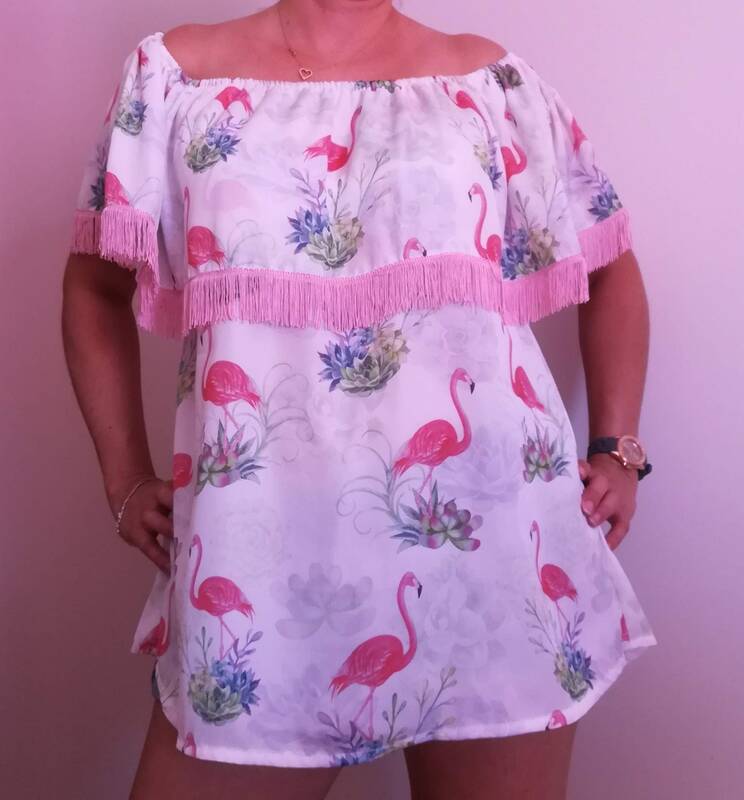 Enhance your shoulders and highlight your silhouette with this fantastic very feminine tunic with a super fashionable pattern. 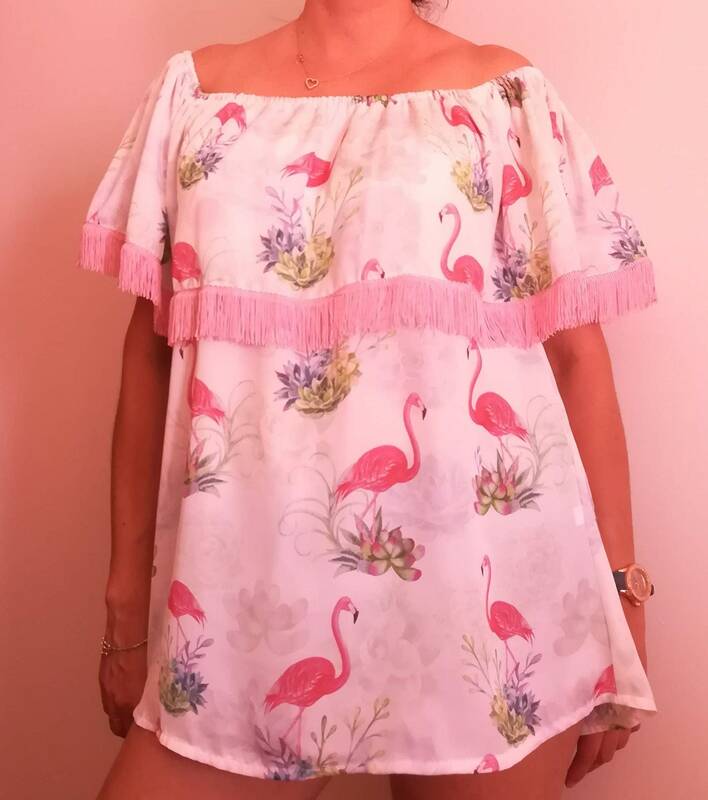 All the Pieces "Made4You ® by Sofia", are made by me handcrafted, with all the affection and dedication, so that they can be unique and exclusive part.